The Six Nations 'Super Saturday' in 2015 proved that good games are the ultimate in terms of promotion for a sport, but not having enough of them is somewhere the GAA's All-Ireland SFC is falling down badly. 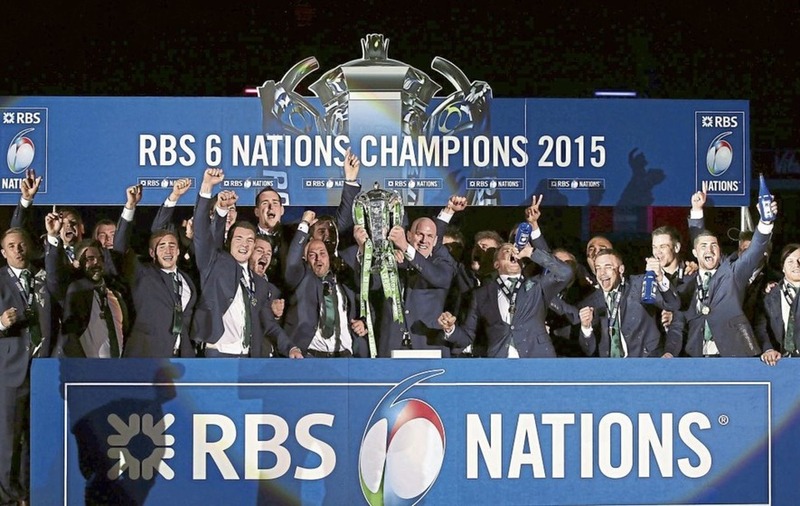 SO the Six Nations will have no dramatic finale this year. Robbie Henshaw’s moment of indiscipline and England’s routine dismissal of Scotland ensures that Eddie Jones’ men have the title sewn up a week early. Yet the Aviva will still rock to the prospect of ruining an historic day for England on Saturday. They will be seeking to break two long-standing records – the longest winning streak in top-class international rugby history, and back-to-back Grand Slams for the first time since 1992, when it was the Five Nations. The desire to spoil things for the English will never soften on Irish soil. It will forever be the favourite of all the past-times. But as a marketable product – which let’s face it, professional sport is – that missing feeling of a Super Saturday cliff-hanger kind of kills the ending. Two years ago, when Ireland won the title on points difference after one of the most remarkable days of sport that sucked in those with even a passing interest. Wales’ hammering of Italy opened the door for them to grab the title and left Ireland needing to win by at least 21 points against Scotland. They won by 30. That left England needing to beat France by at 26 or more, and they came within one score of it. When French winger Noa Nakaitaci decided to try and run the ball from his own tryline when the clock was red and Ireland hanging on, the entire island blasphemed him all at once. It was as good a day’s theatre as you could ever hope to engage in through the medium of sport. In terms of rugby’s promotion within the six countries involved, it was worth far more than all the money thrown at marketing it over the previous 11 months. BBC’s live coverage reached a peak audience of 9.3million during the England – France game. All in, that year’s Six Nations attracted almost 9 million more television viewers in the UK than the 2014 championship had. Nothing promotes a sport like good games. I mean, Barry Hearn has fired millions at snooker over the last two decades but its attractiveness to the general public is in irreversible decline. If a sport is entertaining to watch, people will watch it. If it’s not entertaining, they won’t. The reality of the current All-Ireland senior football Championship is that 90 per cent of it is not very entertaining. Attendances have been in an inexorable decline ever since the advent of the qualifiers some 16 years ago. In 2003, almost 1.2million filed through the turnstiles to watch the football Championship. Last year, the figure dipped as far as 788,746, which was down 28 per cent over the last decade and more than 11 per cent on the previous year alone. The introduction of the Super 8 quarter-finals will boost that figure. The extra games could bump the overall figure back towards the 900,000 mark but in terms of an average, you could well see another dip. Under the current system, we just do not have enough interesting games to keep the masses entertained through an entire summer. I was only vehemently opposed to the introduction of the Super 8 because of the impact it will have on clubs. But it was obvious from his comments and his experience that Páraic Duffy was promoting this because it was the best he could get past the Neolithic body that is Congress. The Super 8 itself is a terrific idea. It would mean that the teams that have a chance of winning an All-Ireland would play for it, and those that don’t wouldn’t. Whether you would see that as elitist depends on your definition of the term. I would be by no means elitist, but I wouldn’t go canvassing the Derry county board to allow all the junior and intermediate clubs to be allowed play in the senior Championship. 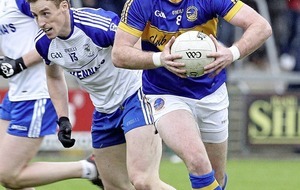 There are very good reasons why many sporting competitions, not least GAA club ones, are graded. One is that it stops teams taking a series of demoralising hammerings. Another is that it ensures teams of relatively equal standing meet on a regular basis, thereby produce interesting games that people will want to watch across the board. That is the essence of a competitive sporting competition. It’s why there are overwhelming calls now for Italy to be relegated from the Six Nations or at least made face a playoff with Georgia, who are waiting in the wings. When it stops being competitive, it becomes very boring. When it becomes boring, people stop watching. If I had my way, the top eight or ten teams would play in the senior Championship. The next batch would play at intermediate and the last batch would play at junior. There would be promotion and relegation between the grades. Hurling hasn’t got it all right, but it’s closer than football. People may blame the structures in hurling as closing the world off to those outside the traditional top bracket but you only need to look at Kerry now for proof of the opposite. 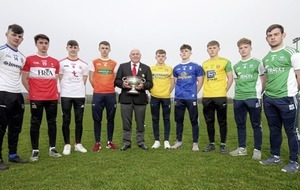 Would they ever have been competing in Division 1B – currently sitting above Offaly and Laois – had they been subjected to annual hammerings from Kilkenny and Tipperary and Cork while they were trying to develop the game? Instead they were able to build a team and bring them through the National League structures, and then up through the Christy Ring as well. This idea that we are ‘condemning’ counties by creating a tiered Championship is a cry of the weak. Take Antrim last year. Great League. Full of confidence. Then they play a Fermanagh side from two leagues above them in the Championship, get well beaten and they’re back to square one, one foot back through the trapdoor to Division Four again. The weaker counties are upholding their own development by insisting on the retention of a failed structure in the blind hope that they might one day cause an upset. Until they accept that, it’s not only going to be a struggle to solve the rest of the problems, but it’s going to get harder and harder to reverse those falling levels of public interest.